Liniar’s newest product innovation, Resurgence, is an 80mm double-rebated flush sash system that gives a nod to the forefathers of fenestration. Increasingly popular since their invention in the 17th century, Liniar has brought the flush sash bang up to date with an installer-focused design and stunning appearance. On top of its striking exterior, the double-rebated sash and patented, co-extruded bubble gaskets eliminate the manual insertion of external seals reducing fabrication time, labour and expenses. The casement window has come a long way from the lead latticework and tiny, single panes of glass. Developments in PVC-U have ushered in thermally efficient, low-maintenance timber replica windows across the industry – and at first glance, Resurgence may seem very similar to its counterparts. Take a closer look, however, and you’ll soon see why Liniar’s latest launch is catching the eye of fabricators, installers and homeowners across the country. 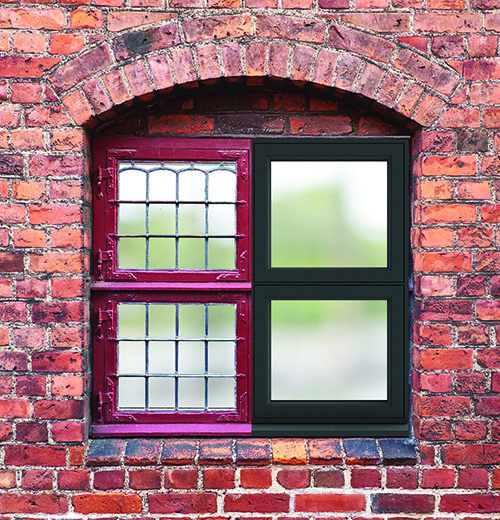 The Design and Development team at Liniar created the double-rebated Resurgence window with the co-extruded bubble gaskets hidden discreetly out of sight. This unique design provides a continuous seal throughout, even on the corners. For older properties, in particular, this offers the weather and draughtproofing they’ve dreamed of while eliminating the unsightly seals of other flush sash systems. Thanks to exceptional woodgrain foil finishes, the fully mechanically jointed Resurgence window looks the part in an older property, as well as offering U-values as low as 0.8 W/m2K – and all without the ongoing maintenance that timber requires. Choose to foil the Resurgence window in one of the stocked foil finishes like 7016 grey or black, and this iconic window style switches from classic to contemporary. Featuring fully foiled glazing areas to both outer frame and transom profiles, the window retains an authentic appearance even when open. 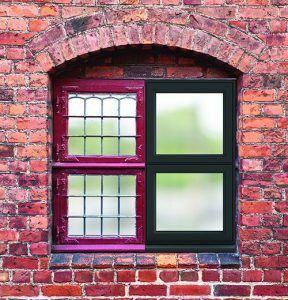 Choose one finish throughout or a dual-coloured frame and sash for an even bolder look. Whether a project requires the look of timber and the energy efficiency of PVC-U or it’s a glass and metal architectural masterpiece, the Resurgence flush sash system is the ideal solution for an impressive finish.